Perhaps, just, perhaps, it’s time for some Mantovani. The “Moulin Rouge” Theme, Lonely Ballerina, or even the rambunctious Greensleeves, yup… Annunzio Paolo Mantovani’s got you covered tighter than cellophane on a PB&J. Waltz Encores was, to the best of my knowledge, released in 1958 on the British favorite, London Records. 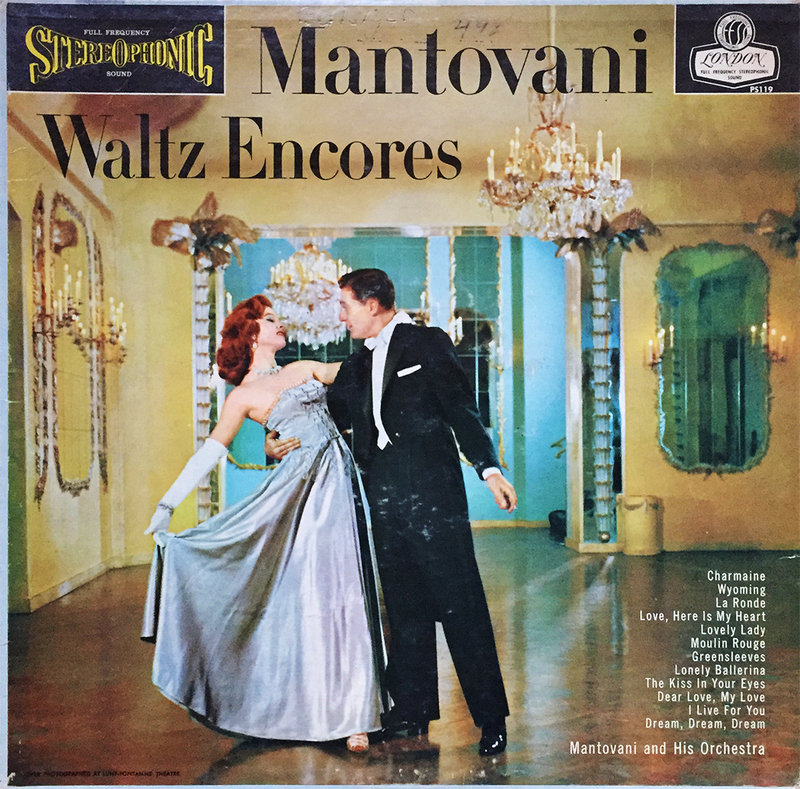 With 12 tracks in total, whatever time you determine is Mantovani time, Waltz Encores is at your beck and call. Candlelit chandeliers sold separately. While scouring youtube for acoustic Minutemen tracks, I’m 1) reminded of how upset I am that my Beats ear buds broke, 2) how imperative it is that I get a good night’s sleep and, 3) the difficulties of identifying this non-French, Eiffel Tower-featuring record label. 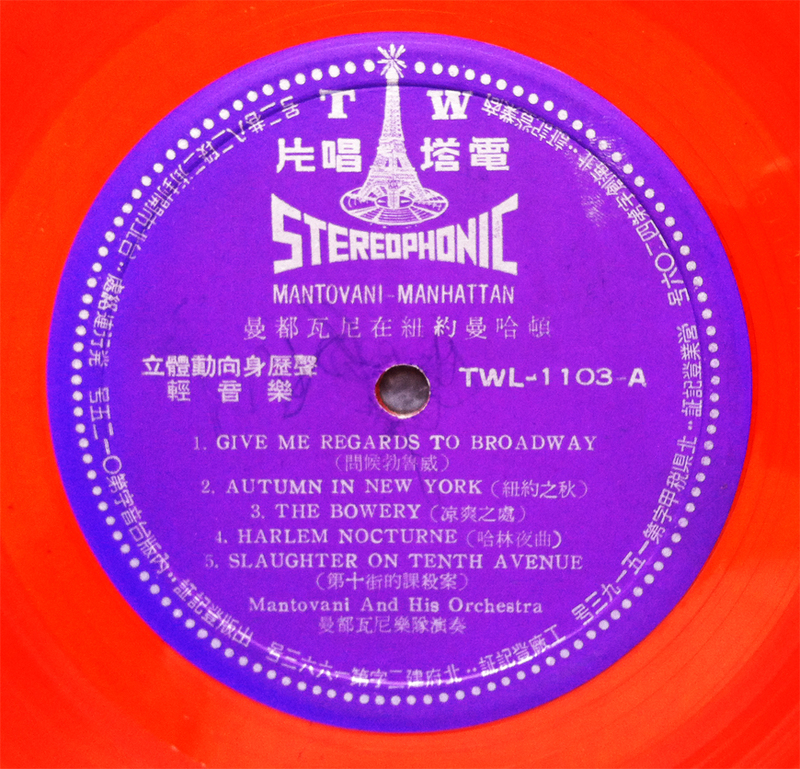 The fact that this record is Mantovani is trivial, since the unnerving focus lies within the deep orange and purple color combo, which only extenuates the Stereophonic foundation to a record supporting the Eiffel Tower. TWL-1103 may be a bootleg Mantovani Manhattan record, but its mysteries exist far beyond simple, easy listening comprehension.